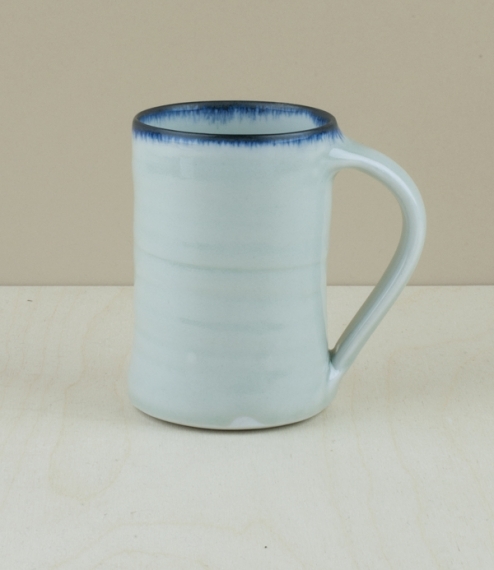 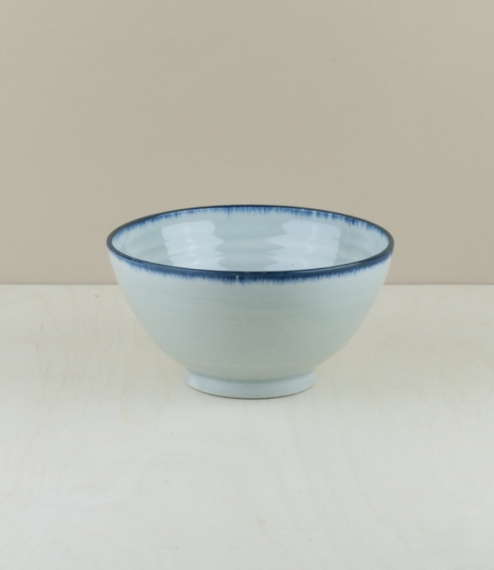 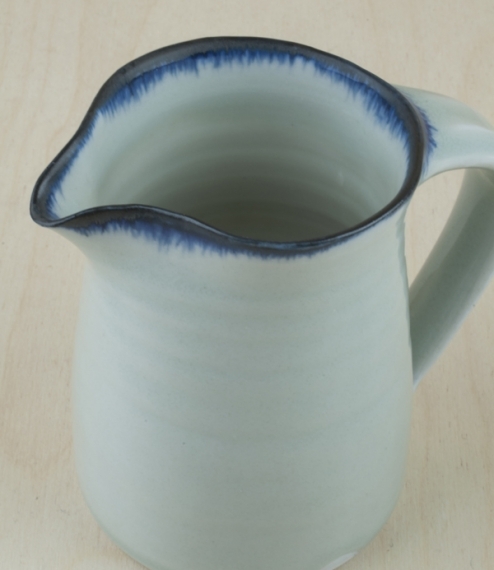 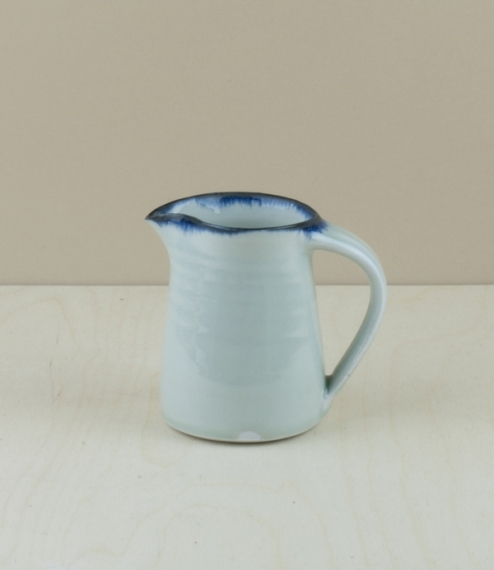 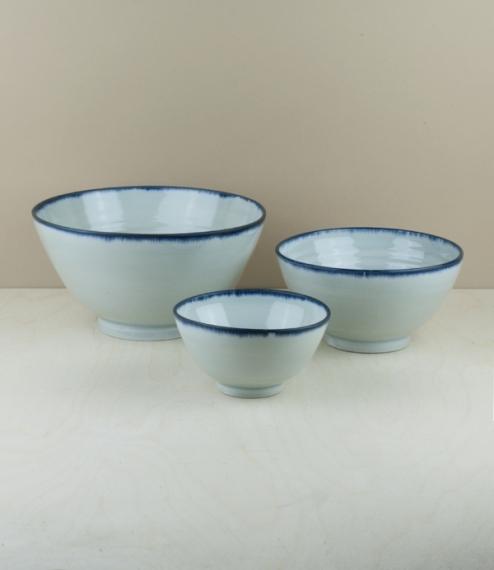 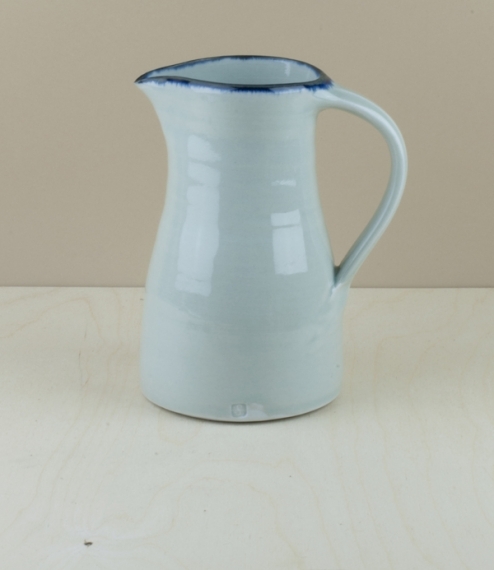 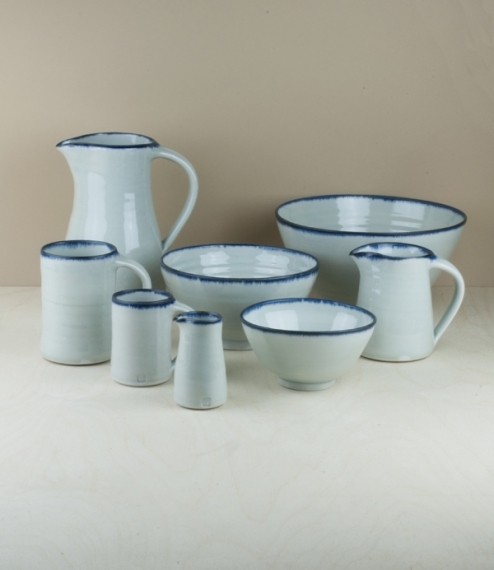 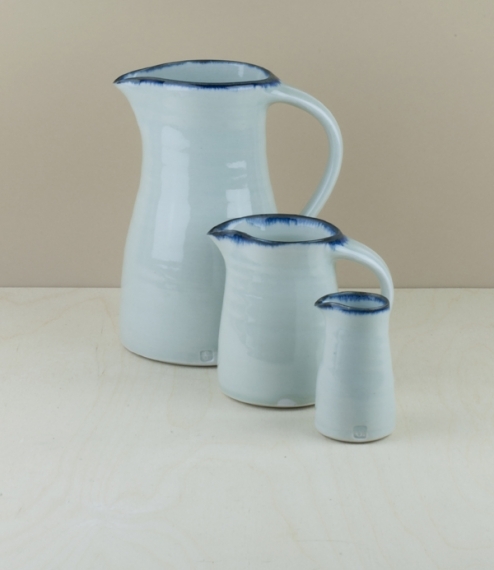 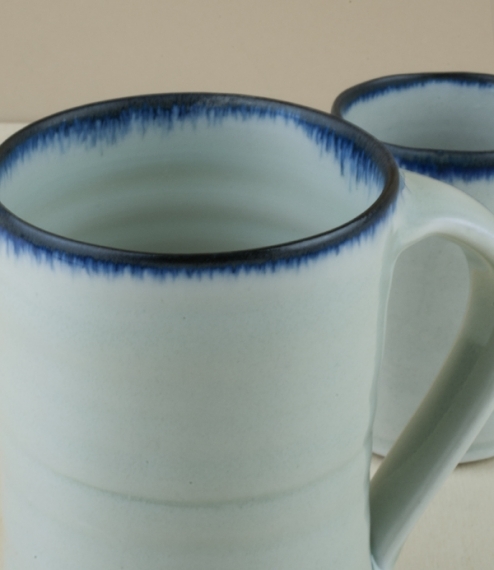 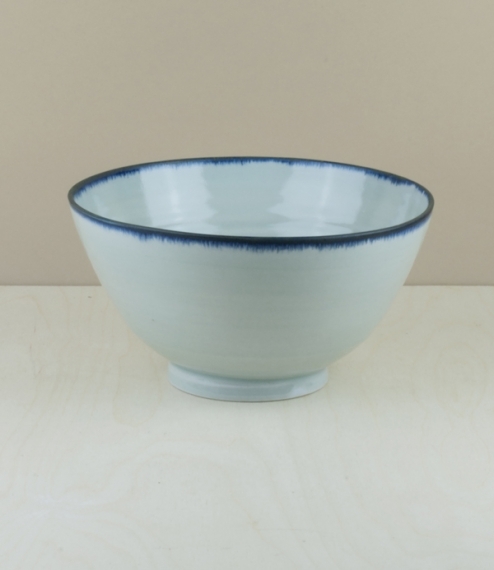 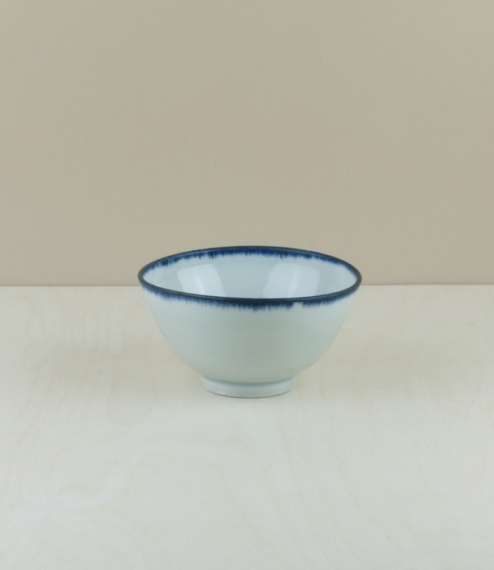 A collaboration between the Leach Pottery and Objects of Use, this hand thrown porcelain has a slightly blue toned ying ching glaze brushed around the rim with an iron oxide cobalt mix, giving a touch of a more intense blue fading to a green-grey or alomst black in places. 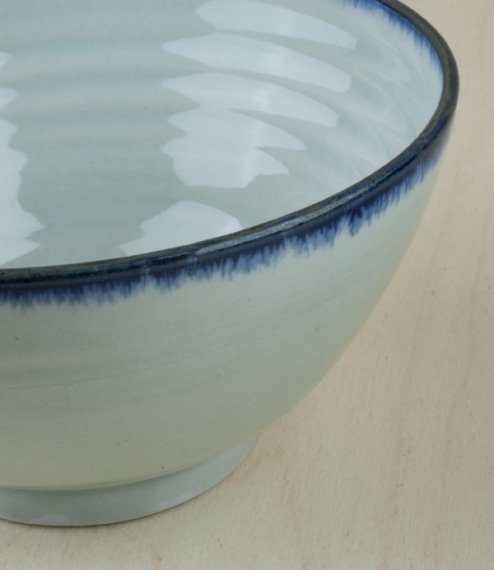 In 1920 Bernard Leach returned from 11 years in Japan to found (with Hamada Shōji) a Pottery in St Ives. 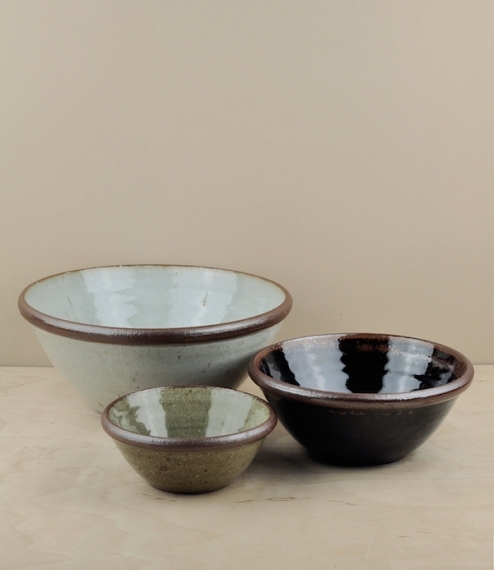 Inspired by the ideals of the Mingei folk art movement and what he had learned from Japanese potters, by the 1930s he was producing ‘Standard Ware’ - a range of ‘ethical pots’ - utilitarian and unafraid to show the traces of their making. 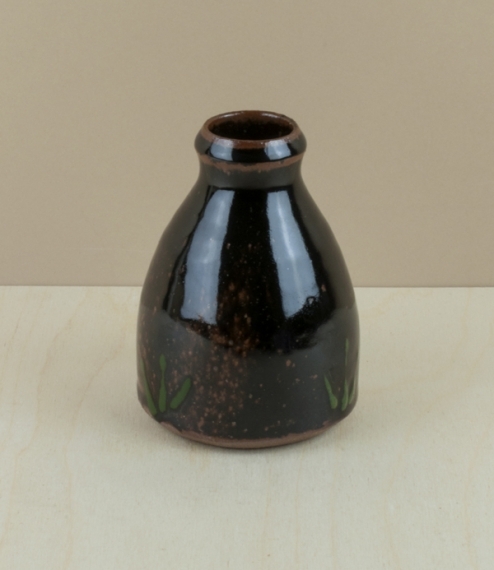 Discontinued at his death in 1979, it has recently been revived by the newly restored pottery. 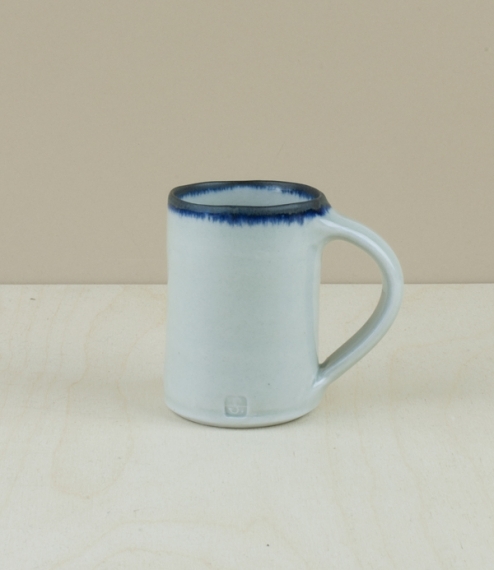 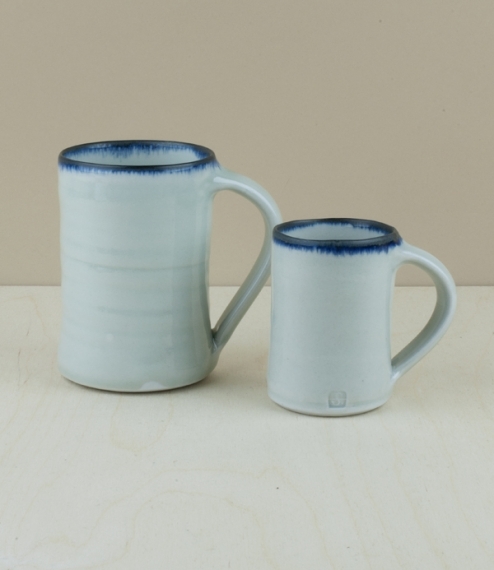 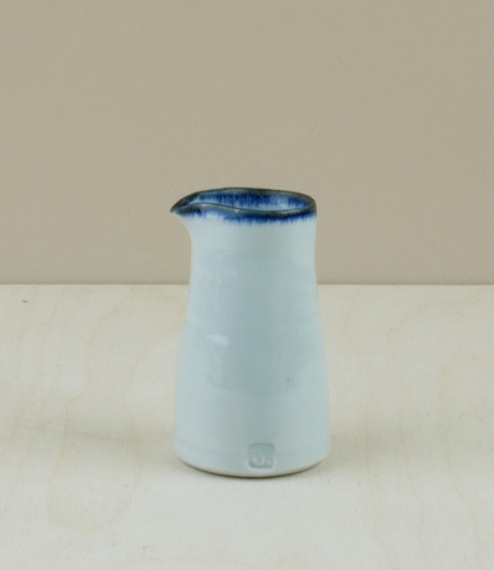 The pourer measures approximately 4.5cm across the base by 8cm high; the small mug about 6cm by 8.5cm high; the large mug 7cm by 10.5cm; the small jug 7.5cm by 10.5cm; the medium jug 11.5cm by 19.5cm (there is no large); the small bowl 12.5cm across the top by 6.5cm high; the medium bowl 16cm across by 9cm high; and the large bowl 20.5cm by 10.5 high - although as these are hand thrown sizes inevitably can vary a little.